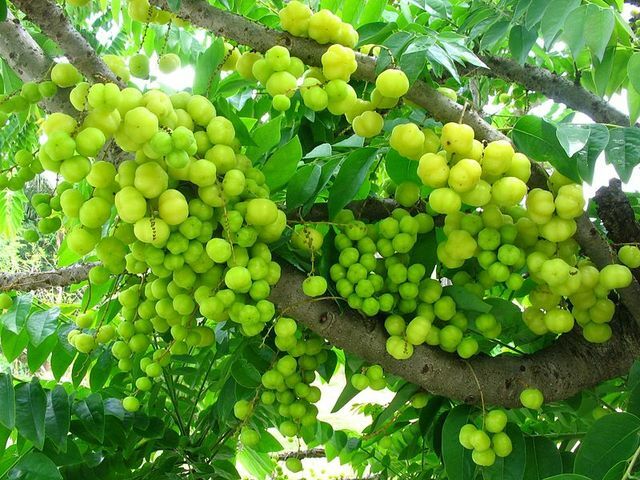 The tree and fruit of Phyllanthus acidus. 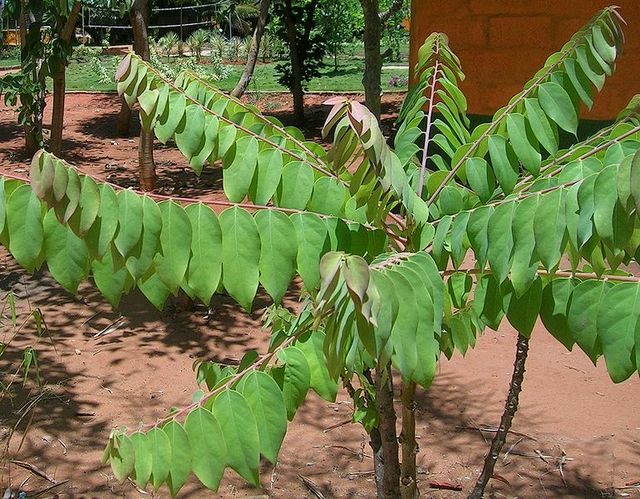 The intermediate sized tree produces small, flattened, multi-lobed, berries with a high acid content. 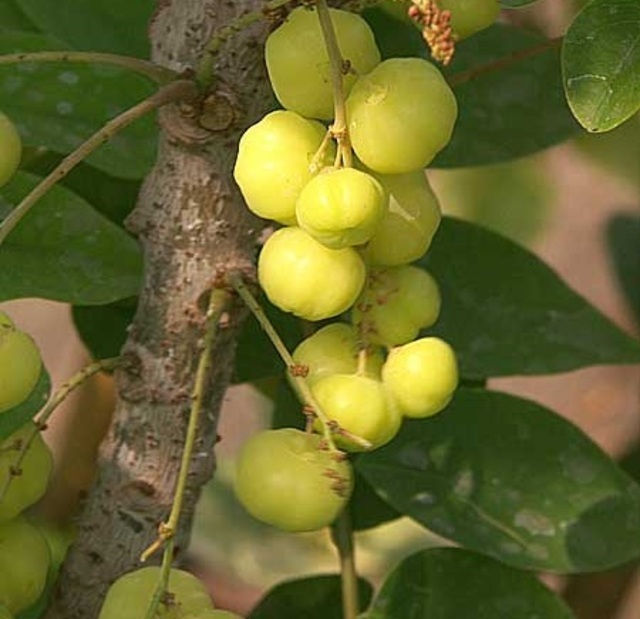 The tart yellow berries are edible raw, but most often stewed with sugar, ginger and other spices.